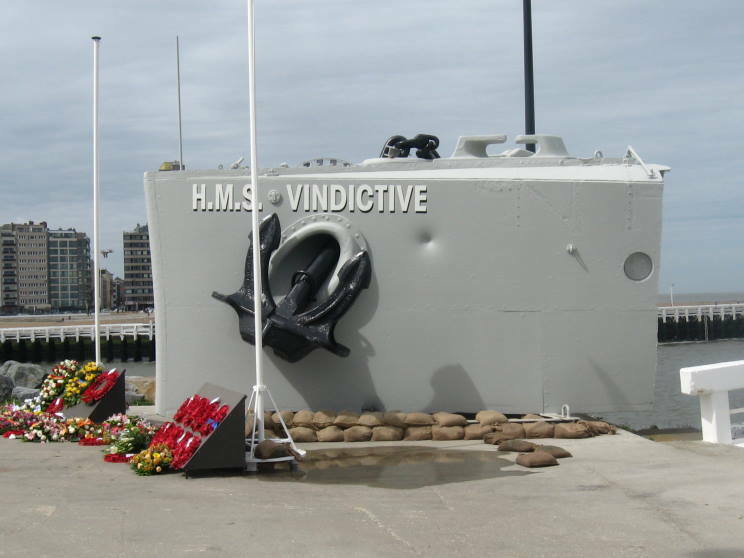 The bows of HMS Vindictive on display as a memorial to the men who were killed during the second Oostende Raid of May 9-10, 1918. The objective of the raid was to scuttle HMS Vindictive in the channel thus blocking the route used by German U-boats and forcing them to use ports further away. While it was a gallant effort, due to heavy German resistance and other factors the raid failed to fully block the channel. This photo shown the memorial in it's original location. 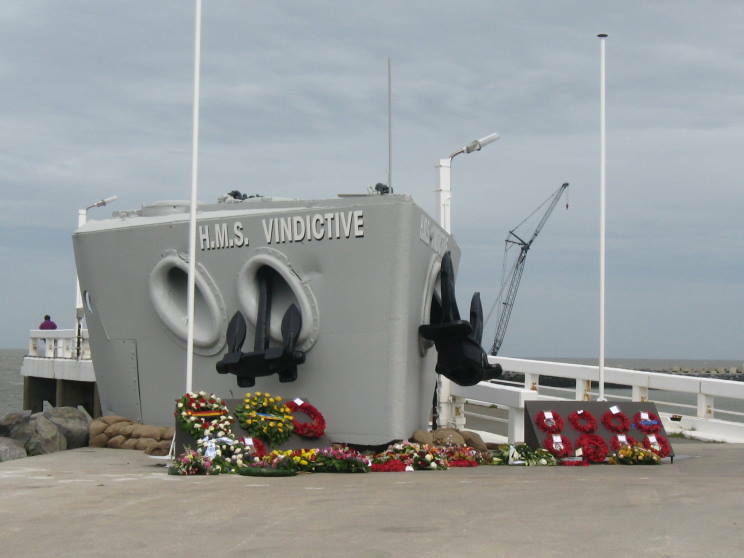 May 26, 2013: The bows of HMS Vindictive having been moved to this new location closer to the harbour were rededicated as a memorial on May 24, 2013. Wreaths from the rededication ceremony are still seen at the memorial. The ceremony was attended by H.M. King Albert II and H.M. Queen Paola along with dignitaries from the United Kingdom, United States, Canada, Germany and Belgium. Also in attendance were relatives of several officers who had participated in the raid including Commander Alfred E. Godsal, D.S.O., R.N., (commanding officer of HMS Vindictive who was killed during the raid in 1918), Admiral Victor A. C. Crutchley, V.C., K.C.B., D.S.C., D.L., Admiral of the Fleet Sir Roger J. B. Keyes, 1st Baron Keyes, Bt., G.C.B., K.C.V.O., C.M.G., D.S.O., Captain Sir John Alleyne, Bt., D.S.O., D.S.C., R.N. (navigation officer HMS Vindictive) and Lt. Commander Geoffrey H. Drummond, V.C., R.N.V.R., (commanding officer of HMML-254). 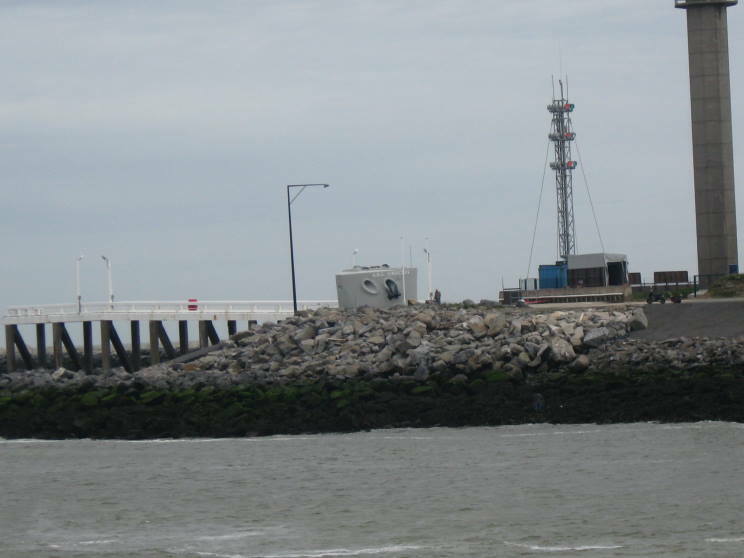 The memorial seen from the water.